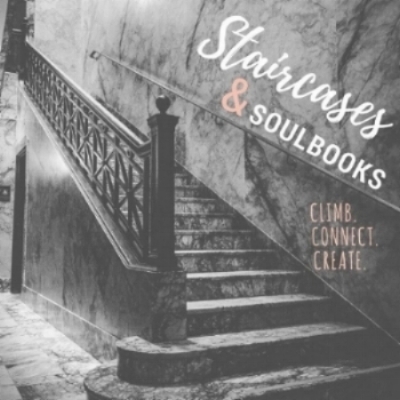 Our signature gathering is called Staircases & Soulbooks, a free 3-hour event open to all women who are interested in building authentic relationships with courageous, inspirational women. All gatherings involve connecting and creating, since art is a beautiful, therapeutic form of creative expression. As a part of this event, you will create a SoulBook, a chunky, artsy book filled with all the important things you should never forget about the beautiful person you are. But you don't have to be good at art to participate because our gatherings are not about art, they are about showing up, just as you are to build lasting friendships with other crazy cool women in your community. We have all survived hard things, so let's start some conversations that really matter. Come alone or bring a friend or family member. We want you to come exactly how you are - there’s no special dress code because there’s no one to impress. Any way you show up is perfect! All gatherings are alcohol-free events. Participants do not need to bring anything. Registration is required to attend and space is always limited to the first 12 registrants. Come reconnect with yourself and others, you won’t regret it!